The Morris County Historical Society announces The Giving Trees Gala: An Event for the Replanting of a Forest ~ The History Girl! Join the Morris County Historical Society (MCHS) as it hosts The Giving Trees Gala and silent auction on Thursday, April 30, 2015 from 6:00 - 10:00 pm at the Westin Governor Morris, 2 Whippany Road, Morristown, NJ. The purpose of the event is to raise funds for the reforestation of a 4-acre woodlot within Acorn Hall’s historic cultural landscape that was destroyed by Superstorm Sandy. The Society is responsible for the stewardship of the urban forest on Acorn Hall’s property, which lies within the Whippany River Watershed, and is part of the Patriot’s Path multi-use trail system. Monies raised through The Giving Trees Gala will finance the purchase, transportation, and planting of semi-mature native trees, understory trees, and shrubs. Phase I restoration plans also include the establishment of native grasses and wildflowers as an early-succession meadow, which is a precursor to natural forest development. 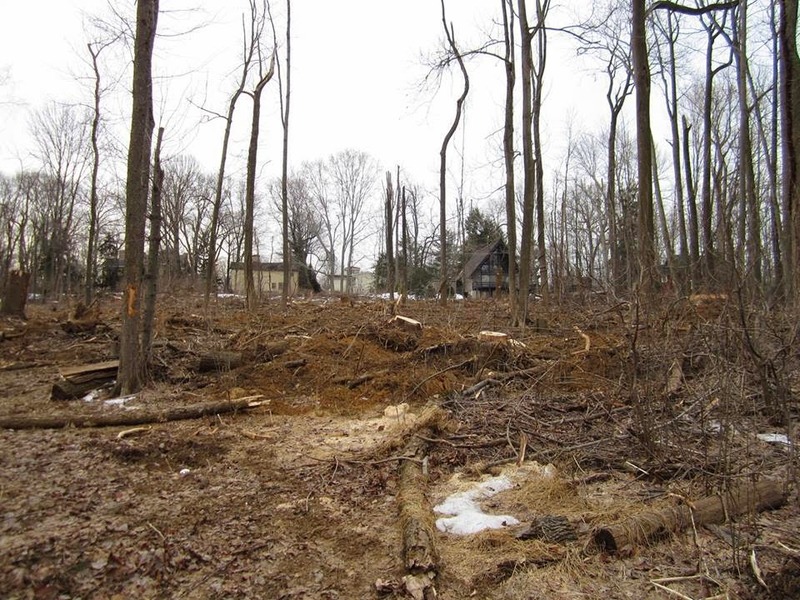 In 2014, the MCHS funded the removal of trees in the woodlot damaged or destroyed by Sandy. The Society received a Sandy Disaster Relief Grant for Historic Properties provided by the Historic Preservation Fund of the National Park Service to the New Jersey State Historic Preservation Office, awarded by the NJ Historic Trust. This funding allows for the on-going clean-up of storm debris, preparation of the soil for replanting, and consultation of forestry, soil, and landscape preservation specialists. Ticket prices for The Giving Trees Gala are $150 for MCHS members, $200 for non-members, and $250 for Patrons. Patron sponsorship includes a free one year family membership to the MCHS (A portion of each ticket is fully tax-deductible within the limits of the law). The Giving Trees Gala ticket price includes open bar (beer, wine, soda), hors-d’oeuvres, dinner catered by Blue Morel, the Westin Governor Morris’ award-winning restaurant, a silent auction, and musical entertainment. Reservations for tickets are requested by April 9, 2015. To purchase tickets, please call the MCHS at 973-267-3465, or e-mail mchsacornhall@gmail.com. For more information regarding The Giving Trees Gala event sponsorship and silent auction opportunities, visit www.acornhall.org.